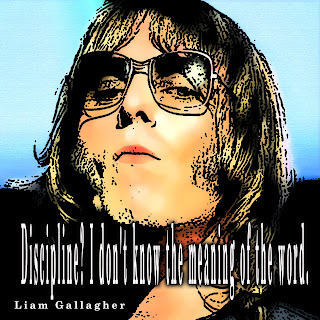 "Discipline? I don't know the meaning of the word"
Musician, Singer and songwriter,Knowned as the Frontman of the famous rock band OASIS and Beady Eye. He revealed that the reason he sings with his arms behind his back is because it allows him to project more power through his voice. In very early Oasis shows until about 1994, Gallagher can be seen touching the microphone with one hand, but still employing his usual singing posture with the rest of his body.